Web and mobile companies collect an inordinate amount of data. 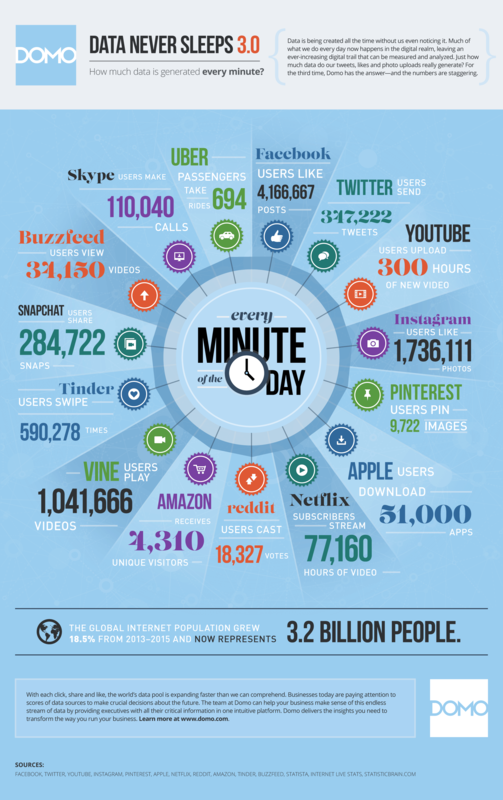 This infographic from DOMO shows how much data is generated every minute by some of the larger companies. It’s astonishing. Companies can collect data quite easily and cheaply. However, turning data into insights is a far more challenging problem. Analysts must use the vast amount of data to drive growth and revenue. And to truly become data-driven, organizations must make decisions based on data and not instinct or fact. Collecting, analyzing and presenting data to make decisions can be quite challenging. Here are five techniques using analytics you can implement to maximize growth. The single most common mistake that companies make when using data is jumping into a data set without objectives. Analysts can pull cool graphs and charts, but knowing that 53% of users from Florida use Chrome doesn’t really help you to make data driven decisions. Before jumping into a data set, you need to define your objectives first by asking questions. If you want to increase the revenue of users from Florida, then start by asking a question like, “How do users from Florida engage with our content?” If you know that over half of them use Chrome, then your product team can work on optimizing the site for Chrome or creating a Chrome extension. Determining your objectives and then mapping them to questions and data points ensures that you do not drown in a set of data, and that all of your analysis work supports the achievement of these objectives. Naming conventions and tagging schemas may seem trivial, but not understanding the data being tracked prevents teams from utilizing it. We have seen dozens of dashboards where the events are named event 1, event 2 and event 3 and when we ask the analysts what actions these events correspond to they have to check with their developers. Collecting data is useless unless your team understands what the data corresponds to. Tagging the data and having consistent naming conventions keeps the whole team on track. Analysts, designers, developers and managers should all understand what data is being tracked. Then, there is a much higher likelihood they will utilize that data to accomplish their goals. What objective do our data points map to? How can we contextualize the values of each data point that we are analyzing? What factors would cause this data point to rise or fall over time? What actions can we take if the data point rises or falls? 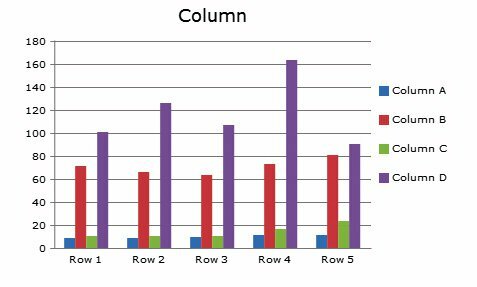 Knowing these answers before we analyze the data facilitates the analysis and decision-making since we know exactly what data points to pull. Behavioral Analytics is the quantitative study of how users use an application. Effective use of Behavioral Analytics enables you to increase growth, retention and revenue without spending a single dollar on marketing. For more information, here is a recent article we wrote about getting started with Behavioral Analytics. User Testing is the quantitative study of how and why users use an application and goes hand in hand with Behavioral Analytics. User Testing enables you to prototype new concepts on a defined, real audience and get qualitative feedback about how they like new designs or features. Using these five techniques will ensure that your business grows quickly by making data-driven decisions. Remember, analytics is a tool that enables you to achieve growth. Spending time digging through data will help you achieve your objectives! For more information on using analytics to grow your business, drop us an email here.